Aside from his assured place in 'Brum Beat' folklore and a successful songwriting career (including, of course, a stint with Jeff Lynne and ELO betwixt "Time" and "Balance Of Power") and when he's teaching folks to fly "On A Plane", Dave Scott-Morgan is first and foremost a pastor, teacher and evangelist. One of the thrills of running elobeatlesforever (elobf) is that Yours Truly KJS sometimes gets to listen to the odd advance release and publish my thoughts and opinions on those recordings. So when a copy of Dave's forthcoming new album of Christian themed songs arrived literally in a "Letter From Spain" recently, courtesy of my good friend Luis Miguel Alcalá Ortiz, my interest was indeed piqued. "Wall To Wall" is a nine track sampler with a strong Gospel message underpinned by some truly inspired songs. With hints of ELO (naturally) throughout alongside the familiar rasping voice of DSM as well as some catchy guitar riffs and lush keyboard and vocal arrangements, listening to "Wall To Wall" with its witty yet challenging lyrics (particularly if you are of a Judeo-Christian disposition) is also a hugely enjoyable musical experience at the same time. "... an album that has had heart, soul and life experience poured into it." 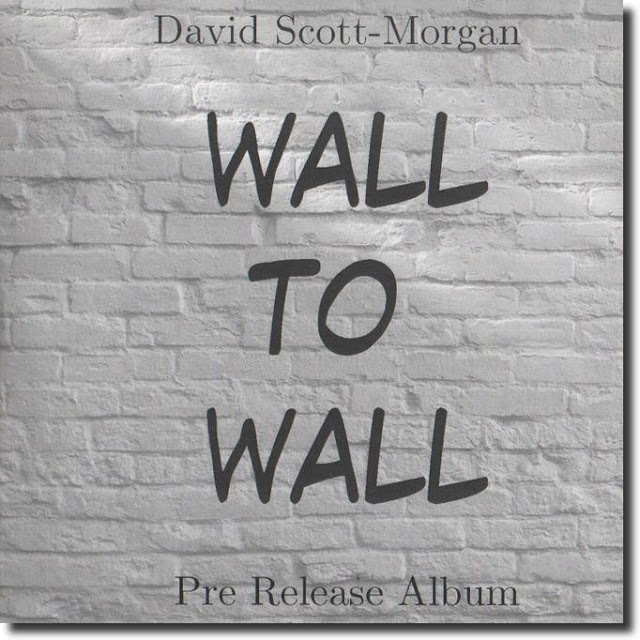 elobeatlesforever (elobf) recommends "Wall To Wall" by Dave Scott-Morgan to those enlightened folks who enjoy the music of ELO, Jeff Lynne, Roy Wood, The Move, The Idle Race, 'Brum Beat', The Beatles and related artistes.